Born 1937 in Istanbul, former Turkish international rower Korkmazlar started his rowing career at Galatasaray in 1955 and later rowed for Anadolu Hisarı and Fenerbahçe. From 1969 through 1992, he served as national team coach, member of Turkish Rowing Federation and head of federation’s technical staff. 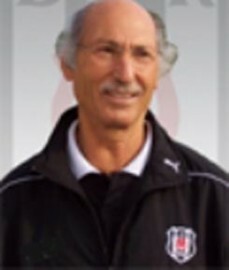 He has been managing Beşiktaş JK rowing section since 1991.